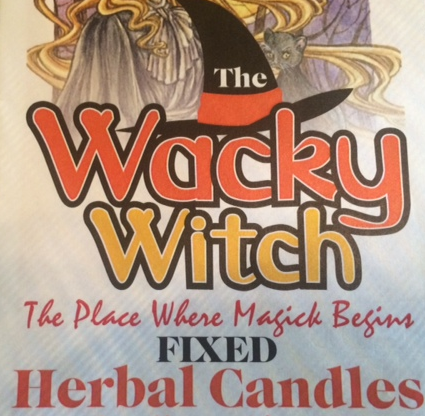 Why Wacky Witch Candle Factory? Our fixed candles are infused with the highest quality herbs, oils, and spices while being processed. We make our candles in very small batches to ensure that they get our fullest attention in energy. Our candles are also blessed at proper moon phase and sign so that they will have the highest frequency possible for your petitions and magickal spell workings. The only action that is required of you is to hold the candle with both hands, and to charge the candle with your desire and energy. If you cannot completely burn the candle, please re-charge it again before re-lighting it. We do not produce any candles that can be used against someone in a negative way. Always think responsibly before any magickal workings because what goes around comes around. For more information about Miss Kity, proper candle usage, and a psychic consultation, please visit her website by clicking here. Kitchen witchery is a practice rather than a specific spiritual or magical tradition. 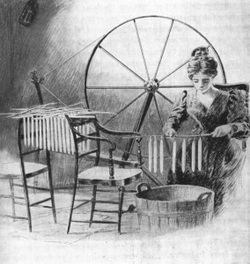 What distinguishes the kitchen witch from others witches is that the majority of her tools and ingredients are readily found in a home. A kitchen witch can cast a spell using ingredients found in her cupboards. Her magical tools may or may not be indistinguishable from ordinary household tools. The concept of kitchen witchery is ancient. For centuries, it was not safe to be an obvious witch. Low-key, discreet magical practice helped keep witchcraft and witches alive. Most kitchen witches are solitary practitioners who are well-versed (or learning to be well-versed) in herb lore and folk magic. Most kitchen witchery involves magical protection of the home and family. Associations with the kitchen are no accident; spells are often cast in the form of delicious meals. A kitchen witch might be conscious of stirring eggs in a clockwise (also known as sun-wise) direction, for instance, in order to draw in positive solar energy. 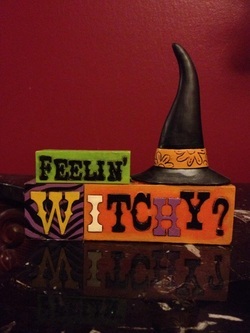 A synonym for kitchen witch is hearth witch. Among the most popular magical tools, candles and candle burning are associated with many styles of magic. However, until the 20the century and the development of paraffin wax, candles were rare and prohibitively expensive. Beeswax and tallow candles were used instead. Magic lamps were constructed by floating cotton wicks in flame-proof containers filled with oil. Candle magic spells can be very simple or incredibly complex. The simplest candle spell involves holding a candle in your hands while focusing intently on your goals, desires, and aspirations, and then lighting the candle. A complex candle spell might incorporate several candles. Color and style of candle might be coordinated with astrological, magical, or spiritual correspondences, and candles may have to be lit at different times or varying orders. Individual candles might be lit at a specific moment, left to burn for a specific amount of time, then snuffed out and lit again at specific intervals.